Size: approx. 15-20 mm. Photo: 08/30/11, 10 pm. 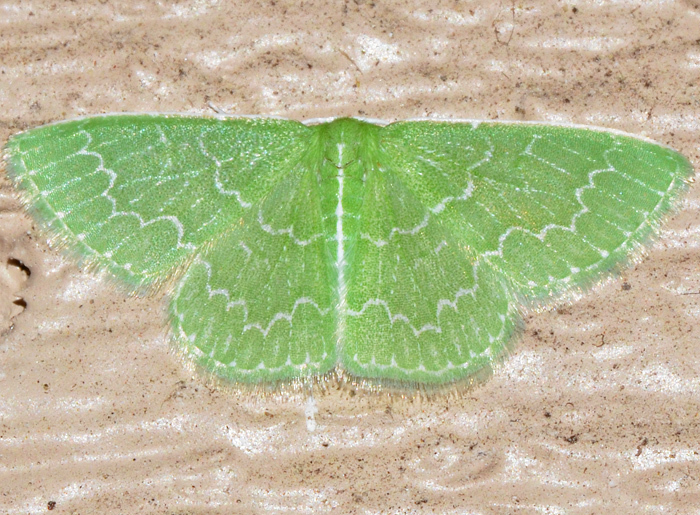 This green moth is a Southern Emerald Moth (Synchlora frondaria). It came to the light of a window. Its larvae are very interesting twig mimics. 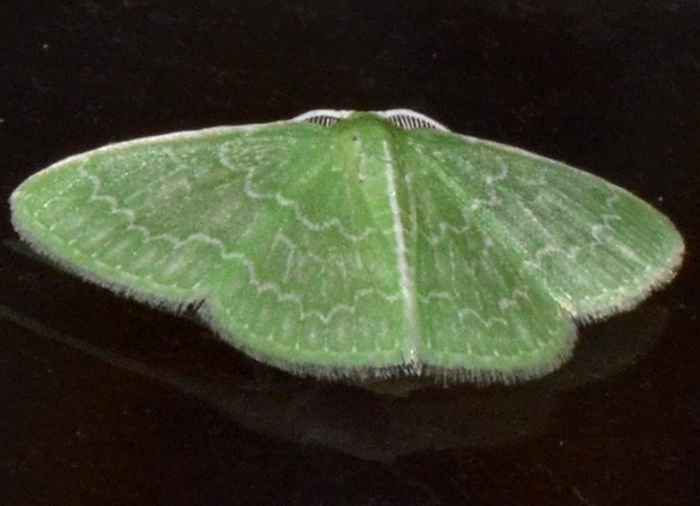 They are highly variable as they decorate themselves with plant material. The genus has 12 species north of Mexico. The small photo shows a different example that I found on 3/26/16.